Knott's Berry Farm offers one-day tickets and season passes. Admission to their Soak City water park costs extra. The best thing about Knott's Berry Farm is that its admission prices are much lower than at other area theme parks. Ticket prices vary by age. It's least expensive for youngsters and oldsters. It's easy to get discounts on adult tickets at Knott's, but the child and senior admission are seldom discounted. Check the current ticket prices on the Knott's Berry Farm website. At the gate or online through the Knott's website: If you buy full price tickets online, Knott's adds a service charge. If you get the discounted 3-day advance purchase tickets, you can save money. Season Pass: Offers early entry for featured rides, discounts on food and merchandise, hotel deals and discount prices for Knott's Scary Farm. Knotts Soak City Water Park is not included in regular admission price. Check their website for current prices. You can also buy food passes that include all-day dining and free drink refills. Fast Lane: This extra ticket lets you bypass the regular line on selected rides (only a limited number sold each day). Parking: Purchase when you get to the park, or you can also buy your parking in advance online. It isn't any cheaper, but it is convenient. Let those other poor saps stand in line at the ticket booth. You know better. Join the smart visitors who buy Knott's Berry Farm tickets online. They zip right in instead of standing in line at the gate. Buy Tickets From a Desktop Computer: If you buy your tickets on a desktop computer, you can print them out yourself, but you don't have to. Your email confirmation will include a link that allows you to add the tickets to your Apple wallet. You can also present the email on your phone and get in, as long as they can read the barcode. Buy Tickets from a Mobile Device: Buy tickets using the Knotts mobile app and scan your phone at the entrance. Discounts to Knott's Berry Farm abound, and there's little need to pay full price, ever. Here are a few discount options we've seen. Keep in mind that current offers may vary. AAA members get a discount on adult tickets, but only at the ticket booth. Check with your local branch to find out how much and be sure to have your card with you. Order at the Knott's website. Once in a while, they offer discounts for admissions early in the season. They also list their current promotions and coupons and a discount if you buy your tickets at least 3 days in advance. Members of the Military can show an I.D. card at the box office and get adult tickets for a reduced price. 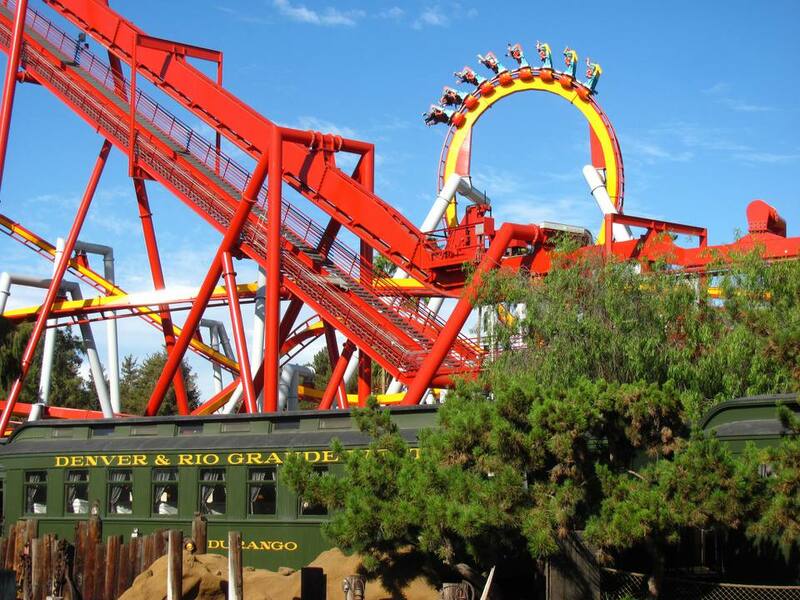 The Go Los Angeles Card offers a lot of attractions at a very reasonable price, including Knott's Berry Farm. Use this handy guide to find out all you need to know about it. You may find discounted tickets from Expedia but don't let their claims of big savings fool you. Compare their prices with other sites before buying. They also frequently sell out. Goldstar also offers discounts from time to time. Knott's sometimes offers discount coupons at places like Burger King, Albertson's grocery stores or TGI Friday's. Check their website for the latest promotions. Take a lot of patience with you if you plan to redeem coupons at guest services, where lines can move at snail-like speed. If you have a Cedar Fair Platinum season pass, it's good at Knott's as well as Gilroy Gardens, Great America, and other Cedar Fair parks. More about Knott's Berry Farm: You can find everything you need to know about hours, ratings, Knott's at Halloween and tips in the Knott's Berry Farm Visitors Guide.